The men who enter Novō often do so with no more than the clothes on their back. Some come to us without ID, without family, without health, without education, and without any idea how to live life their lives drug/alcohol-free. What each of them does have is hope. Hope that things can be different and that ‘different’ can also be ‘better’. In some cases that hope burns strongly. In others, as with Arturo who joined us this week following repeated failed attempts at recovery, that hope has been reduced to embers. Our job within Novō is to fan the flames (or dying embers) of that hope in our residents, pointing them to the One who “raises the needy from the ash heap… [and] seats them with princes” (Psalm 113:8) and encouraging them to believe that change really is possible. In this edition of Novō News we want to share with you a gallery of images and use those to update you on some of the highlights of the last couple of months. Early in the year we decided to divide our 9-month programme into 2 distinct ‘phases’ in order to give residents near the end of the programme a greater sense of progress and more opportunities for growth. Richard (first on the left) and Ronald (fourth up on the right) are now on this stage which involves: 3 days/week of voluntary work in the community, much greater liberty come and go from the Quinta, and a room ‘upgrade’. This change, along with some modifications to the property, also increases our total capacity to 23, including 1st and 2nd stage residents and recent graduates. We have redoubled our efforts at marketing our Paint Service. This has already borne good fruit and in recent weeks we have completed jobs at schools, churches, and homes. The Paint Service provides a context for work skills, personal growth, and a source of income to the Santa Cruz project. We continue to receive both men onto the programme from both the streets and family situations. The mix is roughly 40/60. The received wisdom was that this wouldn’t be possible due to negative attitudes towards those from the streets. It’s been so good to see these two groups to mix well, to benefit of all. 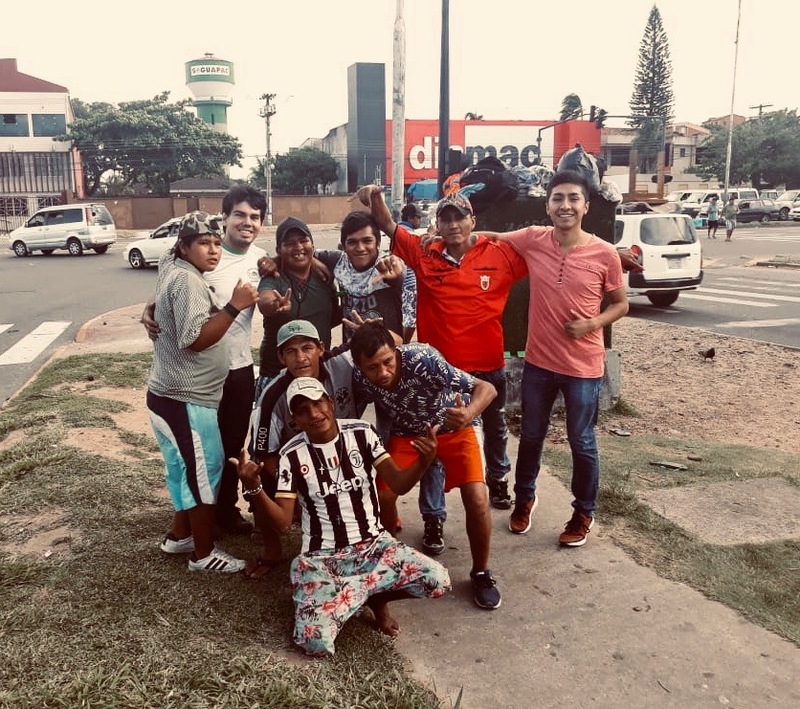 Those who join us from the streets come as a result of regular outreach work on the streets, led by our staff member, Lincoln, to groups like those pictured. Our latest graduate is Jonathan (yellow/blue shirt)! Jonathan is working in a small soft drinks factory, completing his basic schooling, and getting stuck-in to church life. This photo was taken at his church’s recent camp. Jonathan will continue to live at the Quinta for the next 3-6 months as he gets established in the community. We began 2019 with a visit from Dan Head (first on the left), the Programme Manager at Yeldall Manor. 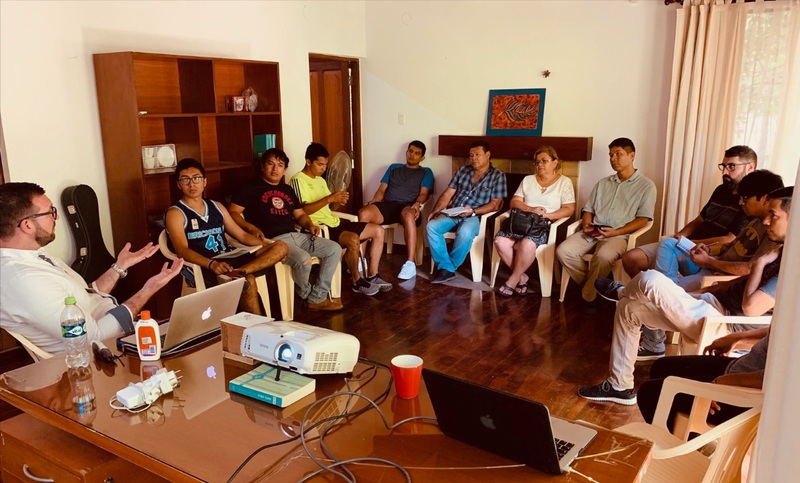 Dan was able to encourage the residents at Quinta Totaices and delivered staff training on addiction/addictive thinking as it relates to treatment, relapse, and recovery. 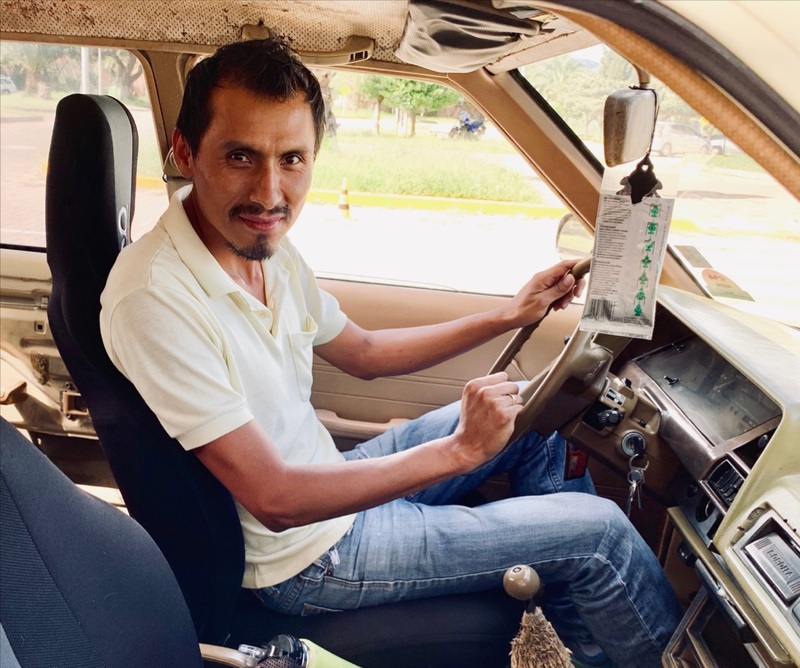 Meet Roberto, a taxi driver form Tarija who has been engaging with David Fuertes and our non-residential Novō project in Tarija. 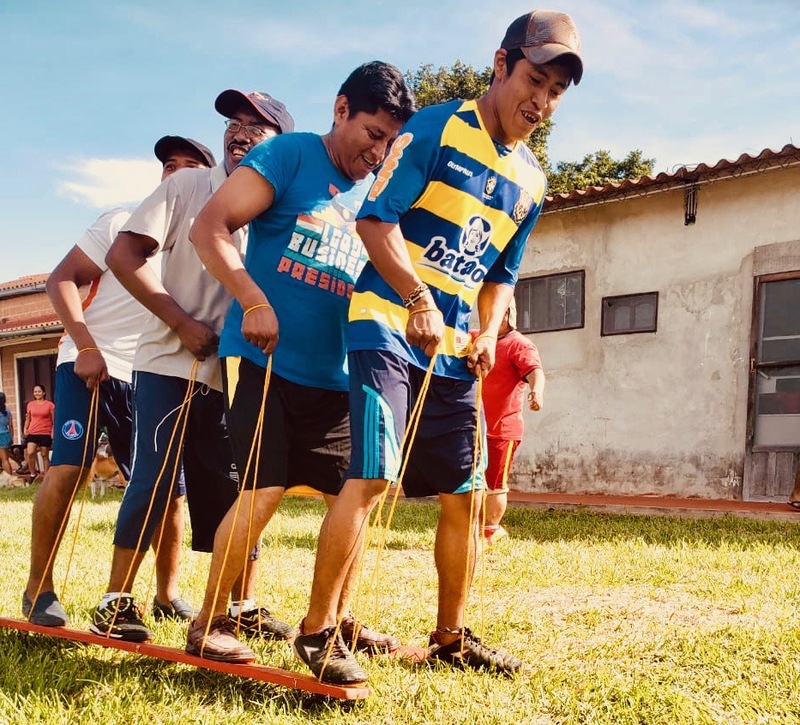 During a 20-year drinking problem, which began when he was 14, Roberto says, “I would drink and forget all of my responsibilities to my family.” Roberto is now 6-months sober and enjoying the benefits – spiritual, physical, emotional and relational – of life in recovery. 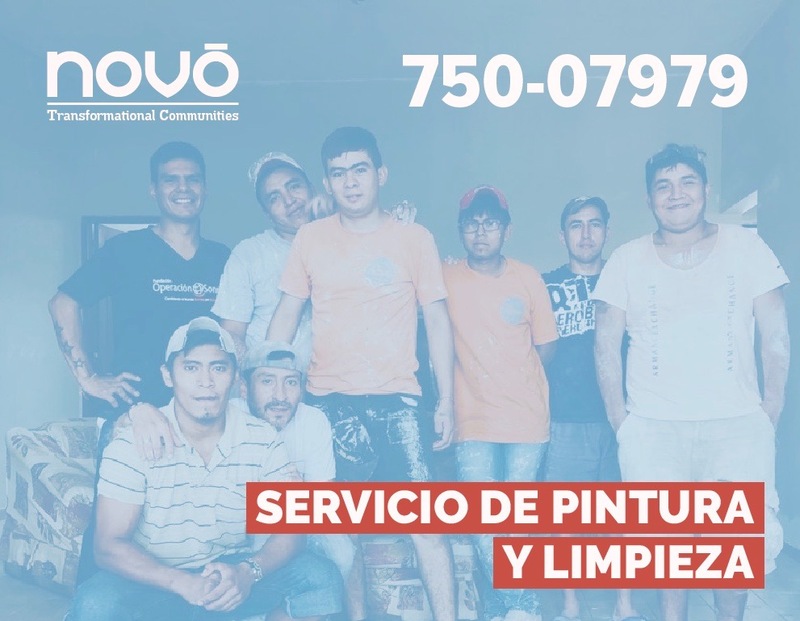 One of our Novō Tarija clients has requested that we create a group for the workers in his construction firm who are struggling with alcohol. The photo is of David Fuertes (white hard hat, stood behind the laptop) sharing with the whole workforce to explain what’s on offer. 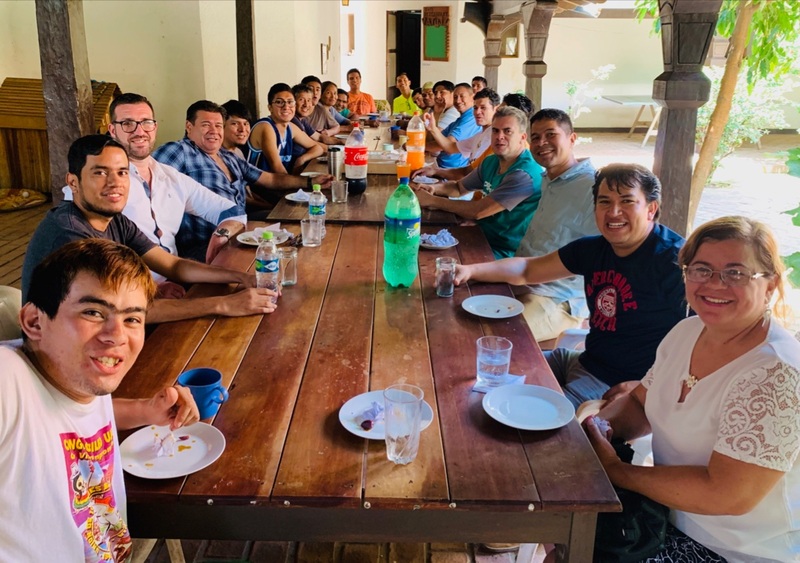 Our goal remains the launch of a residential community in Tarija but we’re seeing real value in working on a non-residential basis and are excited to be experimenting with different ways of offering ‘transformative community’ to those who need it. The final image we want to share with you is of Novo’s new logo! This is just one aspect of a new branding we will be rolling out over the coming months. The work on this has been donated by one our UK supporters. We wanted a logo that’s unique, contemporary and that symbolises hope. This has been achieved with a logo that reflects the life and hope offered by our communities. To raise a total of £50,000 to replenish our general fund, which has run very low. To see regular-giving increase to 75% (£6,750/month) of our current monthly budget, up from 15% at present. To find out more, please click on the relevant link, and please consider if/how you can respond.